Thomson Snell & Passmore hosted a seminar for over 35 attendees discussing acquisitions, growth and exit strategies for businesses and business owners. Joanne Gallagher, Head of Corporate & Commercial at Thomson Snell & Passmore led the seminar, with guest speakers Laura Cockburn from BGF and Nigel Kimber from McBrides Chartered Accountants. Many of the businesses that attended anticipated making acquisitions or raising growth capital in the foreseeable future, but there was still a degree of uncertainty around future business plans, and particularly around how owners would exit their businesses. Joanne Gallagher focused on acquisitions, explaining the key stages and considerations in making an acquisition. Joanne also discussed some of the possible pitfalls and how to ensure that businesses can flourish once they have been acquired by another business. Attendees were positive about acquisitions: 61% said their businesses had made an acquisition in the past, and almost half were planning on doing so in the future (42%). Only 4% said they would not consider making an acquisition. The results show that confidence remains reasonably strong despite significant uncertainties facing businesses. 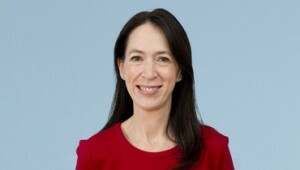 Laura Cockburn discussed the role of equity capital, particularly for small and medium sized businesses. Funding options for SMEs have grown substantially with the emergence of alternative funders, including the expansion in venture capital funding and the rise of crowdfunding. Traditional bank lending has also become more accessible as banks have moved into positive year on year lending growth for the first time since the end of 2015. 33% of the attendees said they are planning to raise capital growth within the next 12 months. BGF offers businesses long-term, patient capital without forced exits. They look for companies with strong management teams, and only ever take minority stakes in the businesses they back, which allows the existing leadership to build upon their successes. BGF’s minority, long-term approach differs from traditional private equity investments and ensures that founders or management teams maintain control. Nigel Kimber, spoke on the options and structures for exiting a business and returning value from the business back to its owners. The economic outlook for owners looking to exit is good, as many larger businesses have built up significant cash reserves and are actively looking for targets to acquire. This, together with attractive tax rates, puts business owners in a strong position. Of the attendees surveyed, 46% anticipated a change in ownership in the next ten years, of whom 40% anticipated a change in the next three years. The majority expected trade buyers or existing management to buy out the business (62%). Interestingly, none of those attending expected a family member to buy out the business – a stark change from historical trends where small and medium sized businesses often stayed in families for generations. Nigel noted that in his experience this was largely due to younger generations wanting to take a different route from their parents, rather than staying with the family business.